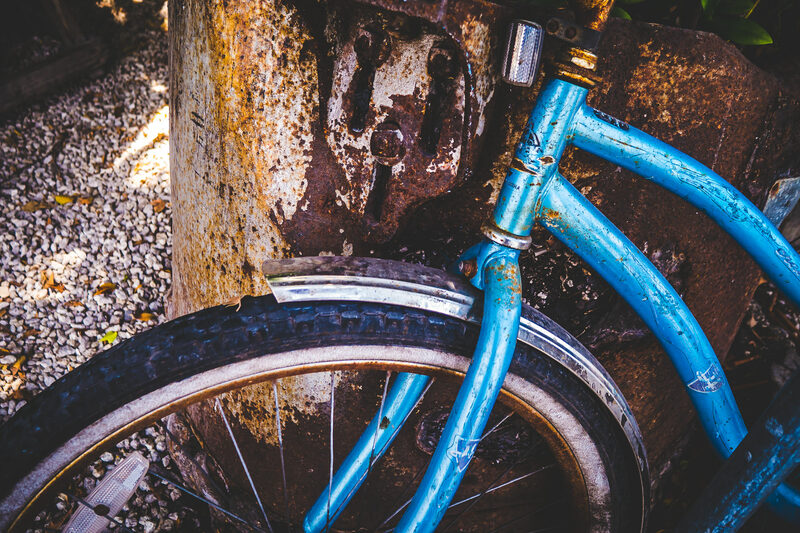 A blue bicycle rusts in the Key West, Florida, humidity. 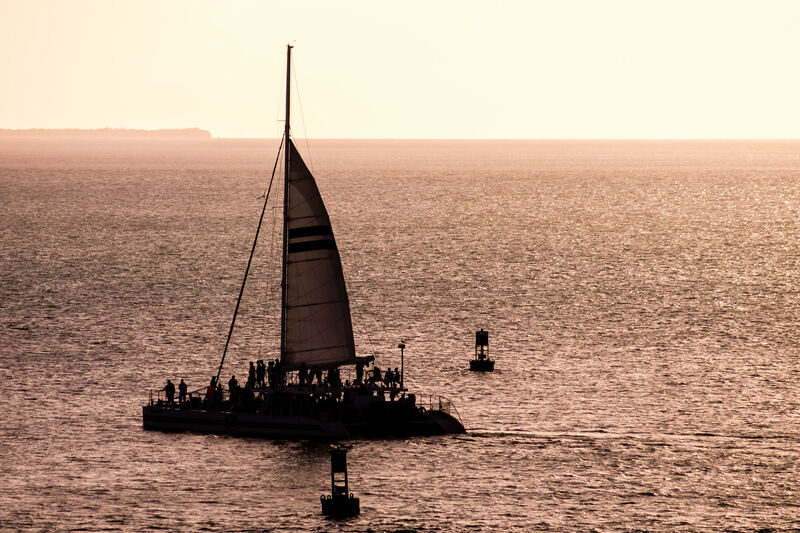 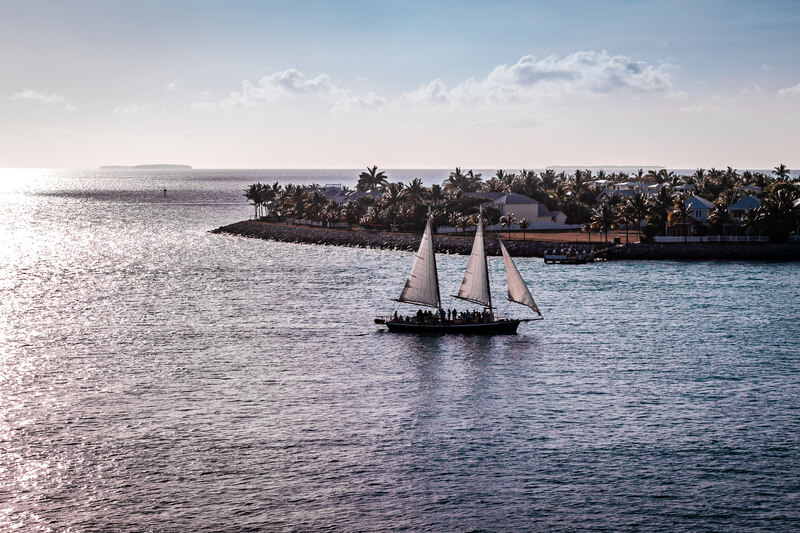 A sailboat sails into the harbor at Key West, Florida. 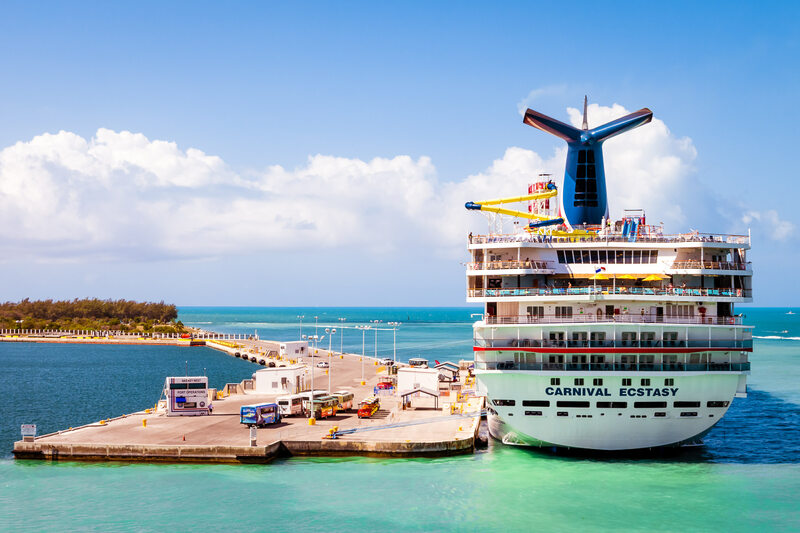 The cruise ship Carnival Ecstasy, docked at a pier in Key West, Florida. 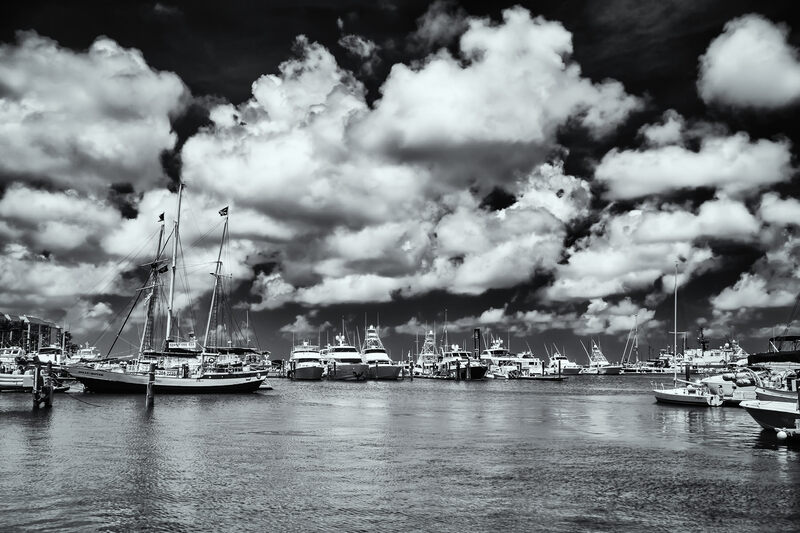 Boats docked in a harbor at Key West, Florida. 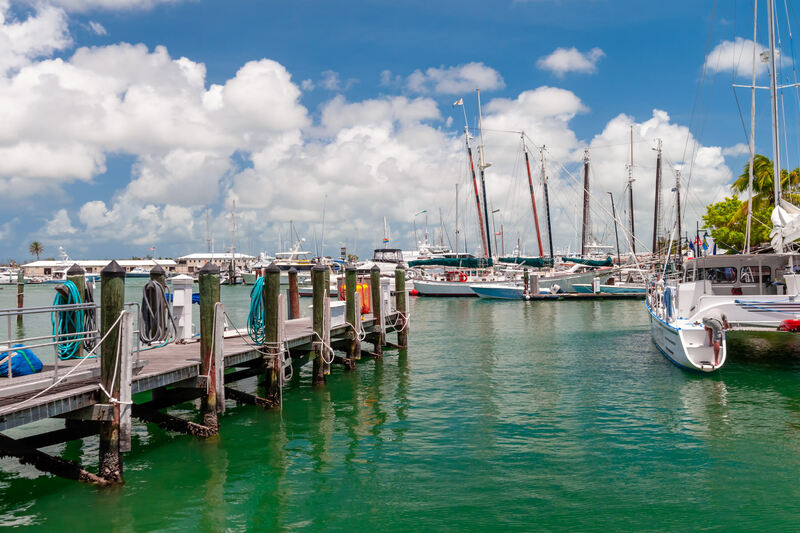 Boats docked in a harbor in Key West, Florida. 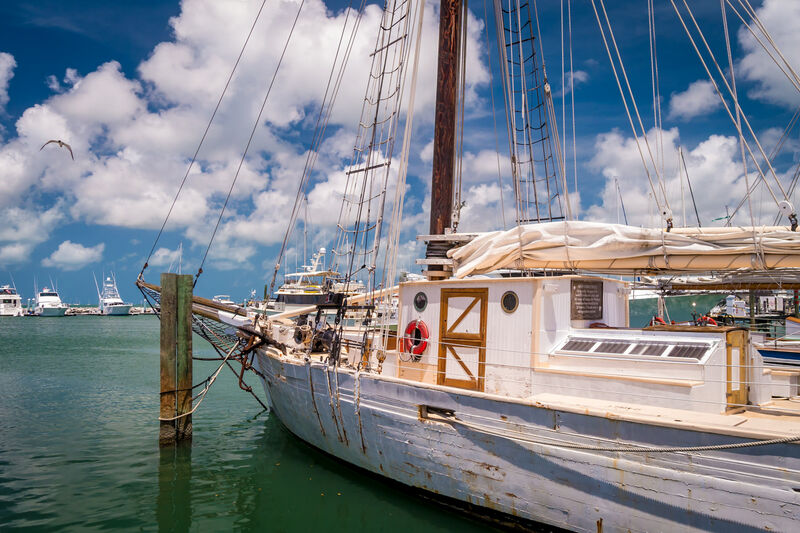 The schooner Western Union—the flagship of the State of Florida—sits at her berth in the Key West Bight on a warm, cloudy Spring day. 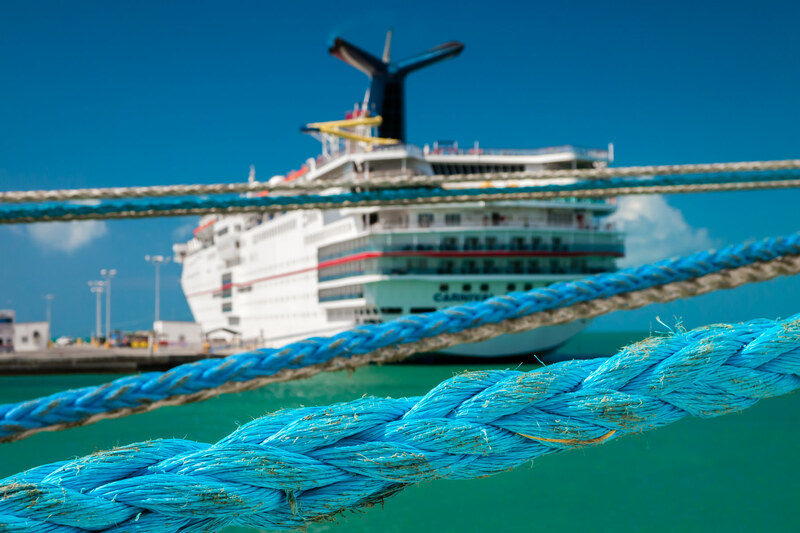 Hawsers tying up an adjacent cruise ship partially obscure the Carnival Ecstasy, dockside in Key West, Florida. 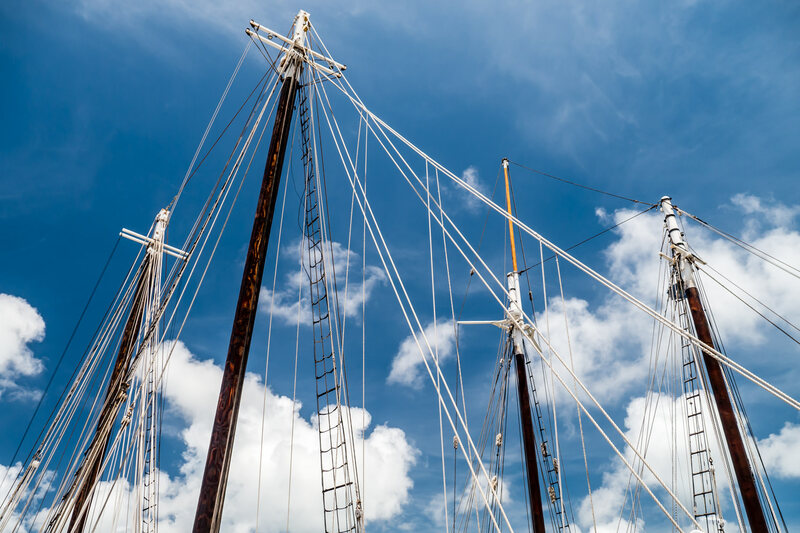 Sailboat masts rise into the blue Florida sky at Key West Harbor. 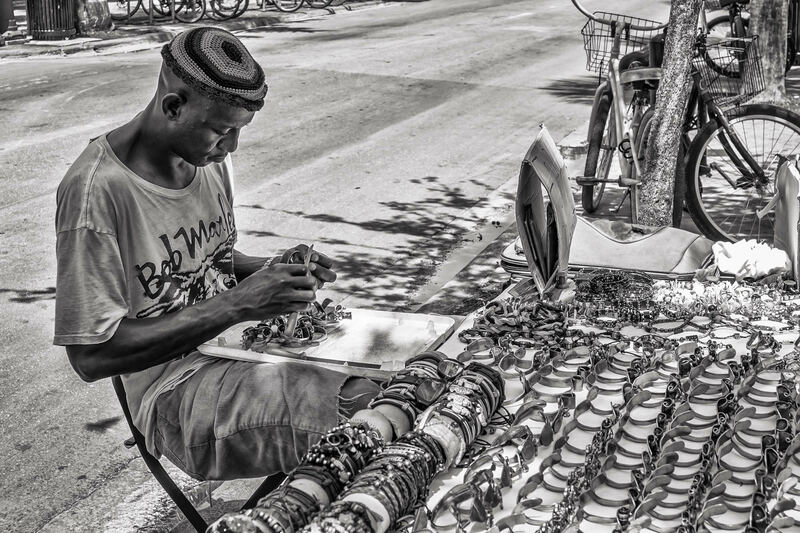 A street vendor crafts and sells bracelets in Key West, Florida.